Nice eyebrows require ongoing maintenance. 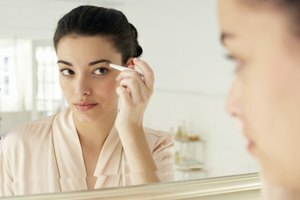 Eyebrow grooming should be part of everyone's personal care routine. 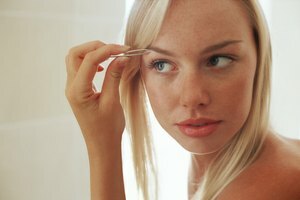 For women, especially, you want to tame your brows without overdoing it: Thick eyebrows look beautiful, and it is challenging to regrow overly plucked or waxed brows. 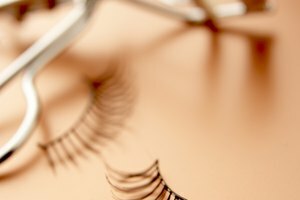 Seek the help of a professional to wax and shape your brows. The only thing worse than an unruly brow is one that is half missing. Place the pad of your thumb in between your eyebrows. Then use tweezers to remove anything your thumb covered. To assess the shape, comb your brows at an angle away from your nose and toward the corner of your forehead. 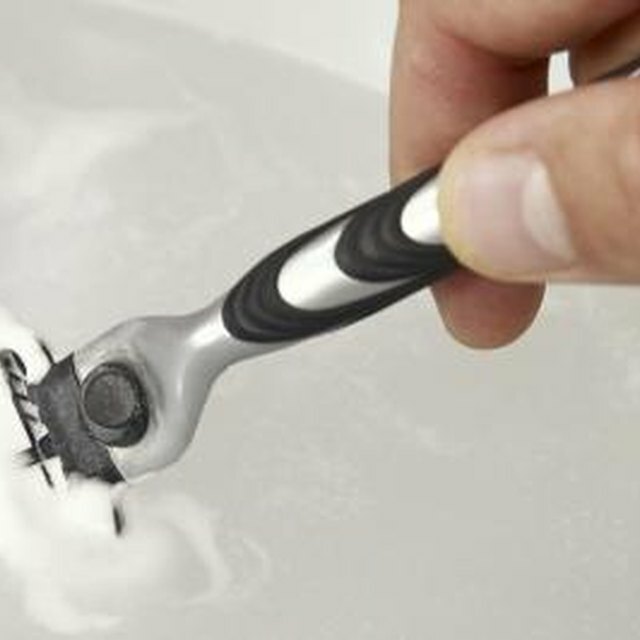 Use beauty shears to trim anything sticking above your brow line, then smooth your brows with a licked thumb, suggests Esquire magazine. For especially thick and coarse brows, use eyebrow shaping gel or cream, which comes with a brush applicator, or a small amount of coconut oil. Use the side of your tweezers to align the bridge of your nose with the inside of your brow line on both sides of your face. Mark the spot with eyeliner and pluck the hairs on the inside of the mark. Then angle your tweezers so it follows the outside of your mouth, nose and eyebrow. 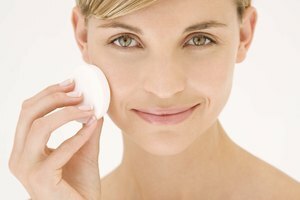 Mark it on both sides of your face with eyeliner and pluck the hairs on the outside of the marks. Using eyeliner, draw a line beneath the brow, using your natural brow's shape as your guide. Pluck hairs beneath the line. 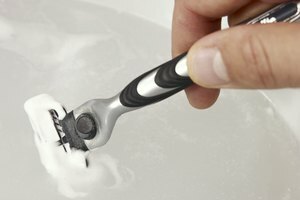 Do not remove too many hairs -- start small and remove more as needed. Smooth coarse brows with a small amount of coconut oil or eyebrow-shaping gel or cream. Mancini, Candice. 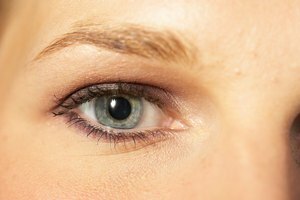 "How to Control Unmanageable Eyebrows." Synonym, https://classroom.synonym.com/control-unmanageable-eyebrows-11975.html. Accessed 18 April 2019.